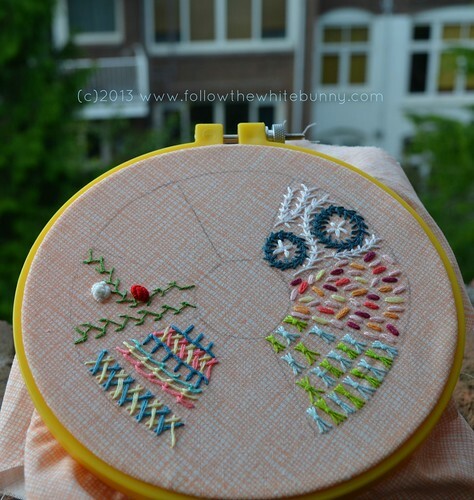 Hey &Stitchers, how are your Garden Path Samplers coming along? Sampler Month has come to a close, but we wanted to show off how our samplers have turned out! Nicole's sampler is coming along beautifully -- check out her gorgeous Bullion Knot roses! Carina's is so cheerful and bright, and I love the stitches she's chosen. A few of her choices are new to me, it kind of makes me want to stitch up another with her selection! And my own sampler is finished - I chose to work with only detached stitches (including using the detached Wheatear Stitch variation) and had a really good time playing with the placement and scale of each stitch. I also used different line stitches for each of the dividing lines and border. 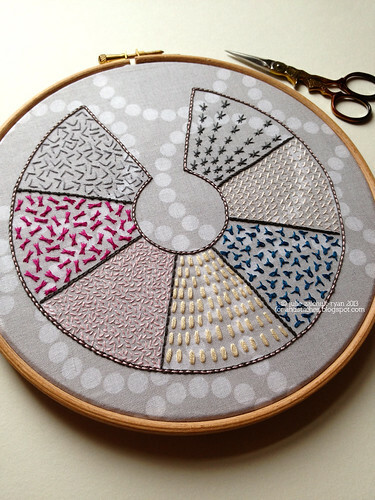 A few of you have also shared yours in the &Stitches Flickr pool and we've loved watched them progress. You already saw a bit Annet's sampler in our interview with her the other day, and she's posted about it on her blog Fat-Quarter. 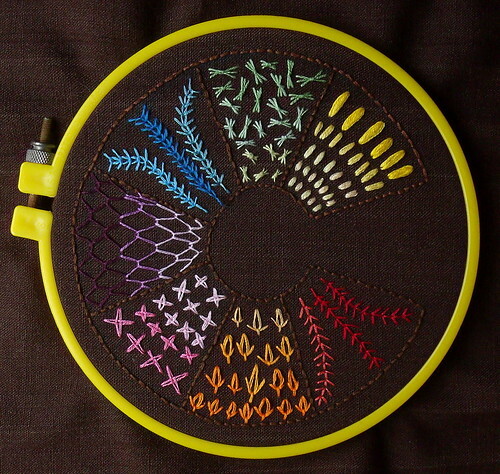 Find out more about Pam's sampler on her blog. We've loved stitching this project with you guys so much, I can't tell you how much I enjoy seeing a project interpreted in everyone's individual styles. I really hope you'll stitch-along with us again sometime! 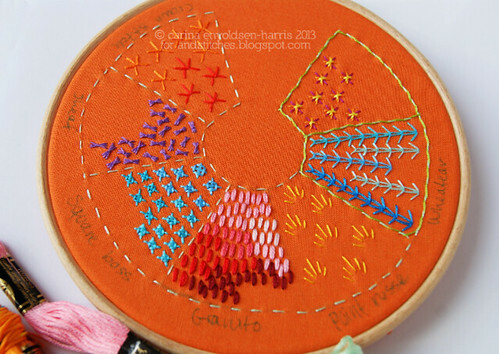 Don't forget to keep stitching your samplers and, pretty please show them off in the Flickr group! these garden path samplers are a delight wish I had had a go, will tract back and see if I can do one shortly. Oh! I adore every single sampler! I agree - seeing this project interpreted in so many different ways is half the fun! And the stitching - the other half of fun! I really loved the concept - a pattern and theme provided. A few intro stitches and then the invitation to use our own imaginations! A perfect recipe for fun! Thank you Julie, Carina and Nicole for this very fun "learning opportunity" playdate! This is indeed a wonderful project and a great idea to inspire and promote this kind of art. I especially enjoyed Pam sampler, she really has some great skills, it must have taken a lot of time and effort to make, but it came out great. Thank you for sharing.